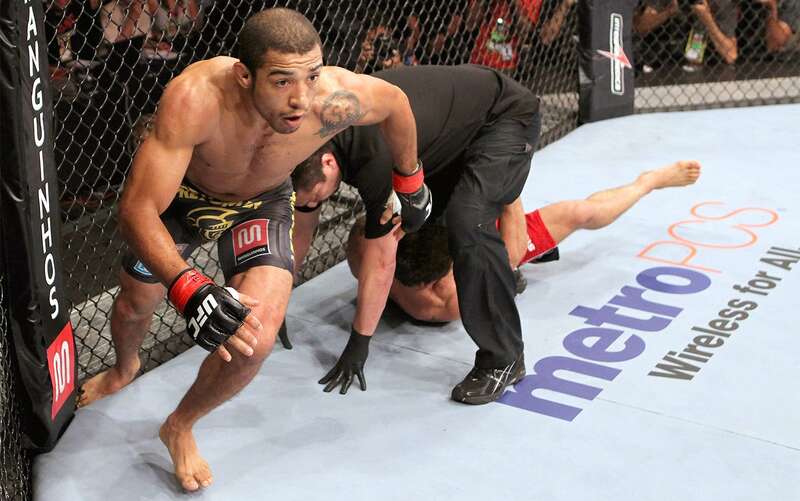 Get the best fight picks for UFC 169 straight from our crystal ball. 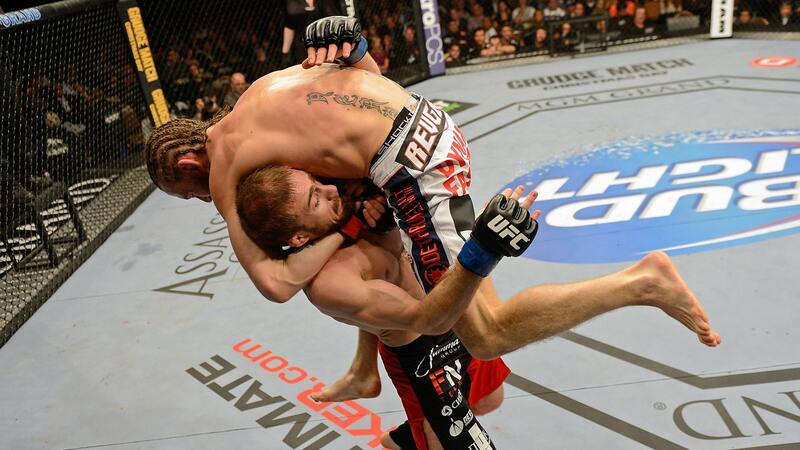 Last weekend, the UFC lit up the United Center in Chicago with a stellar night of action on FOX. Saturday evening, the action shifts to New Jersey for the annual Super Bowl weekend show, headlined by championship fights in the bantamweight and featherweight divisions, as well as a heavyweight showdown between a pair of former contenders in dire need of win. There are 12 fights slated to his the Octagon, many of them tight affairs, so let’s get down to it — here are the UFC 169: Barao vs. Faber II Crystal Ball Predictions. As much as Faber has looked great over his last four fights and is undeniably the right choice to step up and replace Dominick Cruz, this is a “been there, done that, and nothing has changed” situation not unlike the two championship rematches at UFC 168. 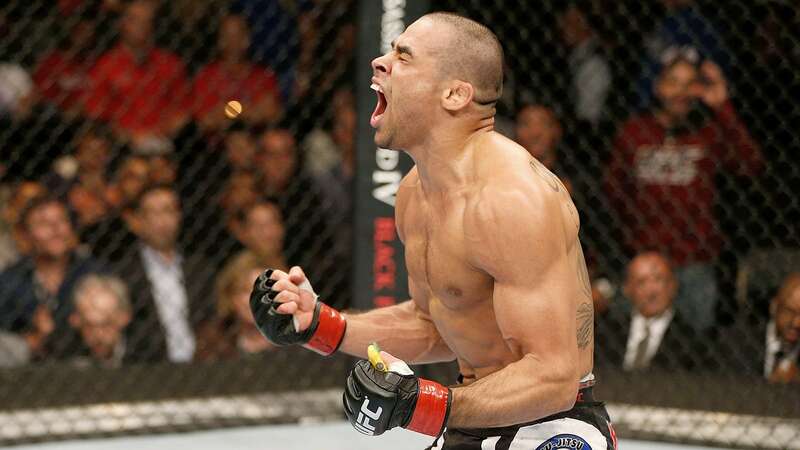 Barao handily defeated Faber when they faced off for the interim title back at UFC 149 in Calgary, and looked even better in collecting a pair of finishes in two successful title defenses in 2013. 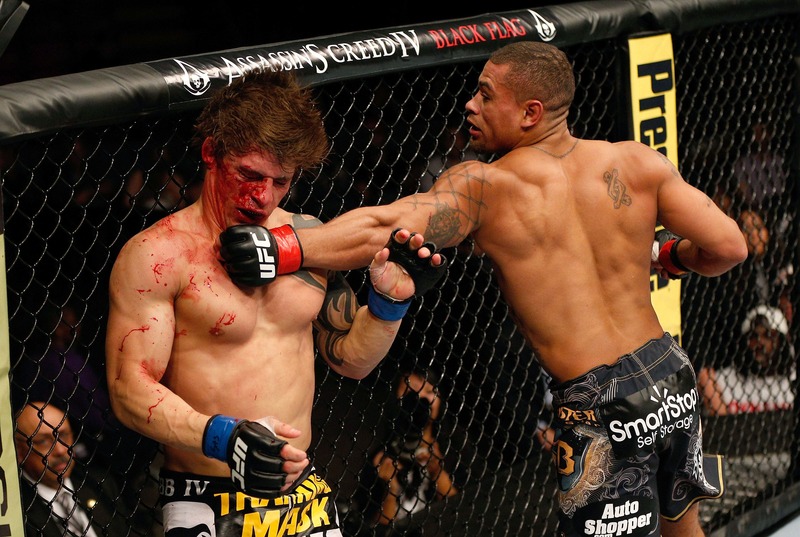 The surging Brazilian, who is unbeaten since dropping his professional debut in April 2005, won every minute of his fight with Michael McDonald before finishing “Mayday” in the fourth round, and than quickly dispatched Eddie Wineland with a spinning back kick to the doom at UFC 165 in Toronto. And he’s going to continue his incredible run here. Faber has been outstanding, but Barao is the quicker, more diverse striker of the two, and his willingness to come forward and initiate the action will shut down what “The California Kid” will be able to do. Lamas could pull off the upset here—he’s a hard-nosed wrestler with solid hands and a bottomless gas tank, which will allow him to continuously try to walk down the reigning featherweight champion. But it’s just too hard to pick against Aldo at this point. Until it happens, the nod goes to the guy that walks in with the belt, plus it’s not like the Brazilian has come close to dropping the title during his time on top. Aldo has significant advantages in the speed and striking categories, and that could be enough to secure him the victory. Given that Lamas likely needs to close the distance and turn this fight into a grind, look for the champion to pepper his lead leg with those thunderous kicks early, before catching the challenger with something nasty later in the fight to secure the finish. While nothing has been stated publicly, the loser of this one could be staring at the end of their time fighting in the UFC. Given that it was just over two years ago that Mir was winning his third straight at UFC 140, three weeks prior to Overeem destroying Brock Lesnar in his debut, the fact that they’re both on the brink of falling out of contention and into oblivion is crazy. And Mir’s prospects here are grim. 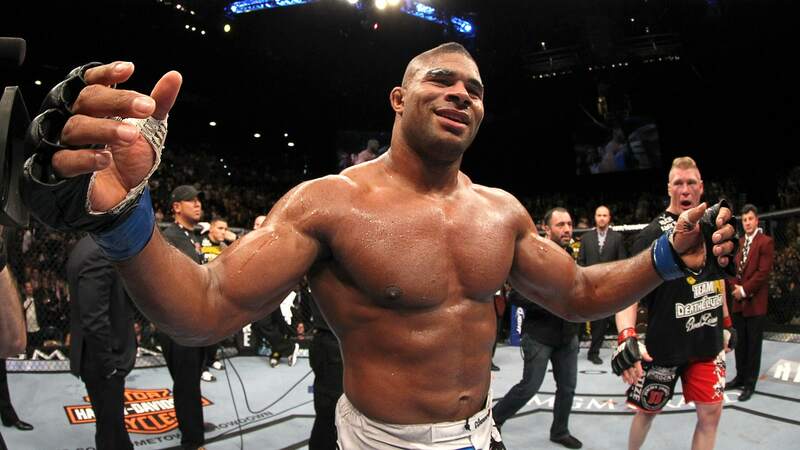 The former heavyweight champion is traditionally a slow starter and not particularly adept at dealing with opponents that crash in powerfully right out of the gate, as evident by his loss to Josh Barnett last summer, and that’s exactly what Overeem does best. While Mir can probably stick around even if he loses (should he be so inclined), “The Reem” needs a win to justify his place on the roster, and should revert back to his dominant, aggressive form in this one. Yeah, this one is going to be fun. 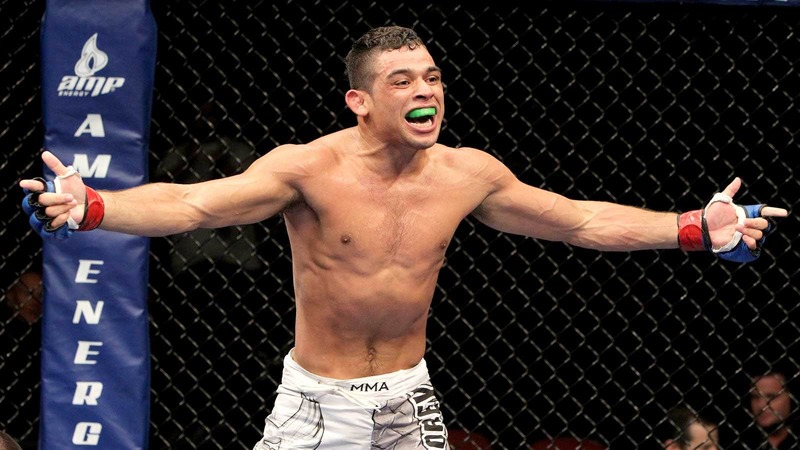 Had Lineker successfully made weight in all of his UFC appearances to date, he’d already be next in line for a flyweight title shot, but because he’s missed in each of his last two outings (and three of his five fights overall), the Brazilian has to go through “The Puncher King” first, and that’s no easy feat. Bagautinov is 2-0 in the Octagon, following up his debut victory over Marcos Vinicius with a dominant decision win over Tim Elliott at UFC 167. The 28-year-old from Dagestan has a strong grappling game and good hands, plus a quality gas tank, which makes for a very interesting fight. As much as Bagautinov could drag this into deep waters and test Lineker’s conditioning, look for the Brazilian to come forward aggressively (as always) and show why his nickname is “Hands of Stone,” collecting the finish and potentially a title shot as well. Varner steps up on short notice looking to rebound from a loss to Gleison Tibau to take on Trujillo, a representative of The Blackzilians who looked like a dominant force to watch in his victory over Roger Bowling on the last UFC on FOX event. While Varner has had success stepping up and derailing emerging talents in the past (Hello Edson Barboza! ), the former WEC champion is out-gunned here. Trujillo is bigger, stronger, faster, and more powerful, and should be able to use all of those attributes to his advantage to collect the biggest win of his career to date. Varner has never been finished by strikes, but there is a first time for everything. After winning his debut in impressive fashion, Patrick gets a step up in competition for his sophomore appearance, sharing the cage with Canadian striker Makdessi in the final bout of the preliminary card. Makdessi has quietly won three straight and should get a fourth consecutive victory here. While Patrick will have a height and reach advantage, “The Bull” does a good job of finding his range quickly, has improved his grappling, and is the more polished of the two. Look for Makdessi to get inside and counter Patrick when the Brazilian throws his long strikes, clipping his opponent early and finishing on the ground with power. Martinez comes from a great gym (Alliance MMA) and has faced some tough talent along the way, as UFC vets Jussier da Silva, Joseph Benavidez, and Mark Hominick make up three of the four men to defeat him to date. But he hasn’t had a fight since December 2012 and failed to rise to the moment when he auditioned for a spot on Season 18 of The Ultimate Fighter, losing to eventual finalist Davey Grant in the elimination round. Though Cariaso has been inconsistent at times, he’s made a habit of winning fights like this, and should find success in this one. The 32-year-old veteran should be able to get the better of Martinez regardless of how this fight plays out. Both men will likely be looking to keep it standing, so look for Cariaso to land first and far more frequently on the way to collecting his sixth UFC win. This is a make-or-break fight for Watson, the British kickboxer who has been more memorable for walking to the cage wearing his trademarked gorilla mask than anything else since signing with the UFC after an impressive run on the regional circuit. Catone is fighting for the first time since December 2012, having missed weight and ultimately been pulled from his UFC 159 meeting with James Head due to dehydration. Now that he’s back up at middleweight, that shouldn’t be an issue, and bolstered by the hometown crowd, look for “The Jersey Devil” to pull the upset. A wrestler with a brown belt in Brazilian jiu-jitsu, Catone is the kind of grinder that has proven to be Watson’s personal brand of kryptonite over the years. While “Kong” is dangerous to strike with, he tires quickly and has few answers when he’s put on his back. Catone pushes for the takedown non-stop, and edges Watson on the cards by winning the final round from top position. A teammate and training partner of middleweight champion Chris Weidman, Iaquinta has looked good in back-to-back victories over Ryan Couture and Piotr Hallmann. Fighting close to home in the UFC for the first time, the former Ultimate Fighter finalist should run his winning streak to three. Lee is a great prospect, unbeaten in his first six pro bouts despite having faced some strong competition on his way to the UFC, but this is a big step up for the Grand Rapids, Michigan native. Iaquinta puts his combinations together well and never stops coming forward. There is a good chance that Lee tenses up and tires out a little simply because of the magnitude of the moment, which will only allow the Long Island native to distance himself on the scorecards even more. Hester has gone 2-0 since emerging from Season 17 of The Ultimate Fighter, while Enz failed to get into the house that same season, losing to overhyped finalist Uriah Hall in the elimination round, so on paper, this looks like a questionable match-up and potential showcase fight for Hester. But here’s rub: the undefeated Enz is slick on the ground, having earned five of his seven wins via submission, and should be able to pull the upset in this one. Jimmy Quinlan countered Hester’s athleticism and power by dragging him to the ground on TUF, and the 22-year-old Enz will do the same, showing why they call him “Tank Mode” by bullying his way inside before taking it to the canvas and tapping out Hester. In a battle of UFC newcomers, the nod has to go to Magomedov, the Russian natural Hand-to-Hand Combat champion and former M-1 titleholder. While Martin boasts a win over one-time UFC vet Phillipe Nover, he simply doesn’t have as much experience against quality competition to maintain his unbeaten record here. Besides, how many fighters have come over from Russia (and surrounding areas) lately and come up short in their debuts? The closing question from the above prediction applies here as well, as Umalatov makes his first appearance in the UFC Octagon against Magny, an Ultimate Fighter vet staring down a pink slip after losing back-to-back contests. Magny hasn’t shown anything of note in his three UFC appearances to date, so look for Umalatov to start his career with a victory, scoring the decision to kick off the show.